Featuring a shared rooftop terrace, The Hive Hotel is 300 metres from Santa Maria Maggiore Basilica. The hotel provides free WiFi throughout and air-conditioned rooms. We liked the hotel’s modern theme yet our stay was very comfortable. The breakfast was ample and was a good way to start the day. Location is a big plus! Offering free WiFi, the Liberty Boutique Hotel features accommodation in Rome. Around 700 metres from Sapienza University of Rome, the property is also 900 metres away from Santa Maria Maggiore. Offering 2 terraces, Tree Charme Spagna Boutique Hotel is set in the historical centre of Rome, 350 metres from the Spanish Steps. It features elegant accommodation with free WiFi. The hotel staff were amazing! They were very helpful with any questions or needs. They scheduled our transfers to and from the airport. We traveled through Italy for 5 days by train and then returned to the hotel for our last night. They kept our large suitcase for us while we were gone, so we did not have to bring on the trains. The rooms and facilities have all been recently updated and are beautiful. They offer a wonderful breakfast that you can enjoy on a small outdoor terrace. The hotel is located a few minutes walk to the Spanish Steps and walking distance to all the main attractions. Hosted in a building from the early 1900s, Hotel Paolo II offers accommodation in a quiet courtyard in Rome, a 15-minute walk from the Vatican Museums. The hotel is 1.6 km from Ottaviano Metro... Great location, exceptionally clean, staff were so helpful and polite and would do anything to help. Rooms were very cosy, comfortable and tidy. It was such a lovely place. Located on Via Nazionale and 300 metres from Quirinale in the centre of Rome, Rome Glam Hotel welcomes guests with free WiFi. Incredibly helpful and polite staff ...... beds were outstanding ..... great sheets...... crisp and clean ......very clean and discreet cleaning staff. Free Wi-Fi and flat-screen satellite TV are standard in all iQ rooms. This modern hotel offers a free gym, sauna and rooftop terrace, 5 minutes' walk from Termini Train Station. Dit hotel is over de ganse lijn perfect! Designed by Baroque architect Borromini, the Donna Camilla Savelli is a former monastery in Rome's popular Trastevere area. It offers a garden, elegant and sober rooms, and free WiFi throughout. Everything.. An amazing unique hotel. Hotel Villa San Pio is located on Rome's green Aventine Hill. Made up of 3 separate villas, it offers free parking and quiet gardens. The elegant rooms feature wood floors and decorative walls. Everything! Lovely breakfast atrium and garden. Very attentive and helpful staff. The Artemide is set in a 19th-century building on the vibrant Via Nazionale. A free minibar and free Wi-Fi access are available in each of the elegant rooms. As always, it was a very pleasant experience. 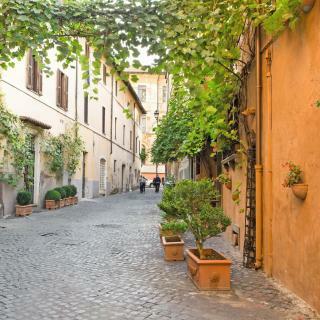 Located in central Rome, Horti 14 Borgo Trastevere is just 10 minutes' walk from the heart of lively Trastevere. The 4-star hotel offers a garden, a restaurant and bar. This was the third stay in Rome in 5 weeks, the other properties were nothing compared to Horti 14. Offering a free gym with sauna, Hotel Diocleziano is opposite Termini Train Station and next to the Terme di Diocleziano ancient Roman baths. Its elegant rooms feature a free minibar and free Wi-Fi. Convenience, comfort and value for money. Eccelso Hotel is set in Rome, 1.9 km from St Peter's Square and 2.2 km from Castel Sant'Angelo. Featuring a shared lounge, the 3-star hotel has air-conditioned rooms with free WiFi. Helpfulness at check-in which was earlier than expected. So accommodating! Just 200 metres from the Roman Forum and a 5-minute walk from the Coliseum, Hotel Nerva is in central Rome. Wow, I do not have one single negative word to say regard this hotel. 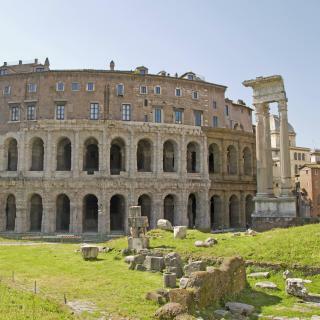 Situated in the heart of ancient Rome, The Inn at the Roman Forum is within walking distance of the Coliseum and Roman Forum, and actually houses ruins inside the property. WiFi is free throughout. The location was perfect for walking around Rome. Just metres from Rome's Trevi Fountain, Harry's Bar Trevi Hotel & Restaurant offers modern rooms and a restaurant. WiFi is free throughout. Our stay in Harry's Bar Trevi Hotel was absolutely excellent! Located in the heart of Rome, Argentina Residenza Style Hotel is just a 5-minute walk from the Pantheon and Piazza Navona square. Such an amazing place & experience with its beautiful entrance, outstanding room and cleanness. Many families visiting Rome loved staying at Domus Terenzio, Nerva Boutique Hotel and Escape Luxury Suite. On average, it costs € 86.72 per night to book a 3-star hotel in Rome for tonight. You'll pay on average around € 123.43 if you choose to stay in a 4-star hotel tonight, while a 5-star hotel in Rome will cost around € 344.13 (based on Booking.com prices). The average price per night for a 3-star hotel in Rome this weekend is € 213.50 or, for a 4-star hotel, € 284.72. Looking for something even fancier? 5-star hotels in Rome for this weekend cost on average around € 803.75 per night (based on Booking.com prices). 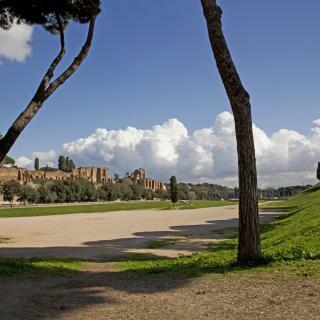 What are the best hotels in Rome near Rome Fiumicino Airport? 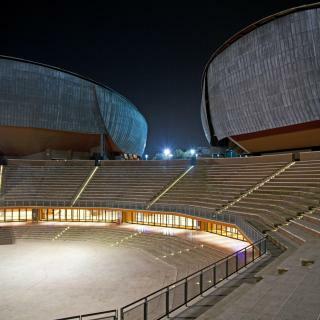 Travellers who stayed in Rome near Rome Fiumicino Airport (FCO) have said good things about Air Rooms Rome Airport by HelloSky, Hilton Rome Airport and QC Termeroma Spa and Resort. 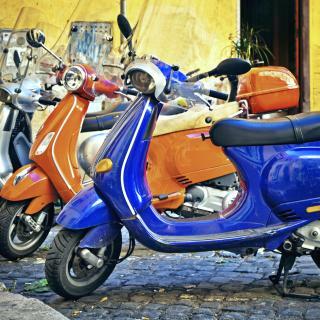 What is the best neighbourhood to stay in Rome? Aventino, Trastevere and Navona are popular with other travellers visiting Rome. 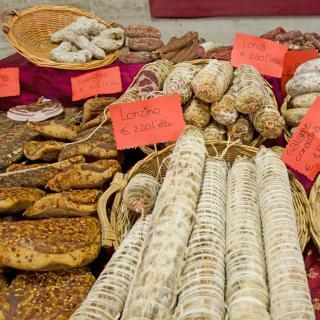 What hotels in Rome offer an especially good breakfast? 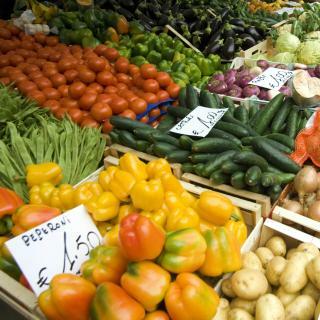 For hotels in Rome that serve up a highly-rated breakfast, try J.K. Place Roma, Hotel Santa Maria and HT6 Hotel Roma. What are the best hotels to stay in Rome? Hotel Artemide, iQ Hotel Roma and Princeps Boutique Hotel are some of the popular hotels in Rome. On average, 3-star hotels in Rome cost € 83.36 per night, and 4-star hotels in Rome are € 108.15 per night. If you're looking for something really special, a 5-star hotel in Rome can on average be found for € 316.93 per night (based on Booking.com prices). What hotels in Rome have nice views? 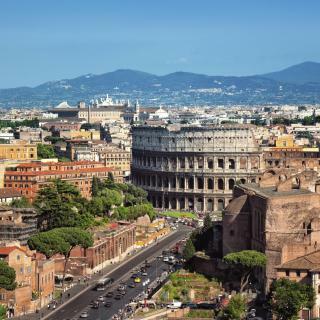 Hotel Santa Maria, Princeps Boutique Hotel and San Anselmo have received great reviews from travellers in Rome regarding the views from their hotel rooms. What hotels in Rome are good for couples? These hotels in Rome are highly rated by couples: J.K. Place Roma, Hotel Artemide and Hotel Santa Maria. We stayed two nights for short respite before a flight to the US. The room was just fine, the bar was comfortable. We didn't eat breakfast because it was 10euros extra and the neighborhood is full of cafes. The accomodation is walking distance to the train station which was our intention and we did walk there, suitcases and all. Rome is great and the hotel was fine. The hotel was in a perfect spot, 20 minute walk from the main tourist attractions and the terminal was a 10 second walk Our room was a little small but we only went there to sleep at night and go back out in the day anyway. Loved the history of Rome, especially the Palantine hill and the Colosseum We walked almost everywhere and then took the hop on hop off bus when we got tired. Our hotel, the Villa San Pio, was walking distance to the Colosseum and it was just a lovely place to stay with an outdoor breakfast area in lush gardens. The rooms had lots of character and the staff were wonderful. We enjoyed our stay at the Hotel Miami. We enjoyed our stay at the Hotel Miami. Our room was at the back of the hotel so very quiet. The room was spotlessly clean and the bed was comfortable. Whilst the shower was over the bath it was adequate and we had no problems at all with the water temperature or flow of water. The Wifi was excellent (we were a bit sceptical having read other reviews about Wifi in some hotels). The breakfast was typically Continental and maybe not exactly what we might have at home there was plenty to choose from with an excellent selection of Twinings teas plus a coffee machine. Afterall why leave home if you want to have everything exactly the same! The location was great and only a short walk to Metro Repubblica. There were a few restaurants within walking distance however a taxi ride is relatively inexpensive. The staff at the hotel were very friendly and willing to help with directions and tips about sightseeing and getting around. We would stay here again.